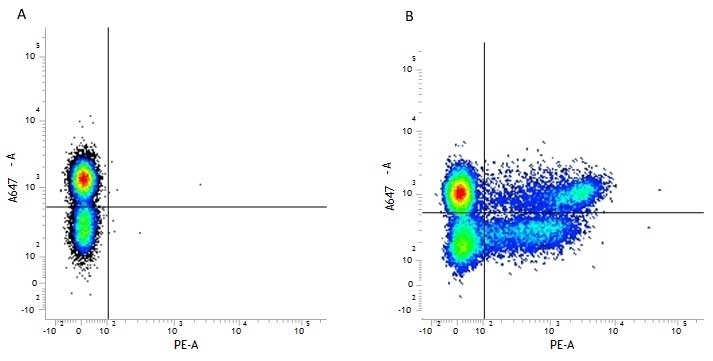 Mouse anti Human CD8 antibody, clone LT8 (MCA1226GA) used for the evaluation of CD8α exptession on T lymphocytes from marmoset blood, spleen and lung by flow cytometry. 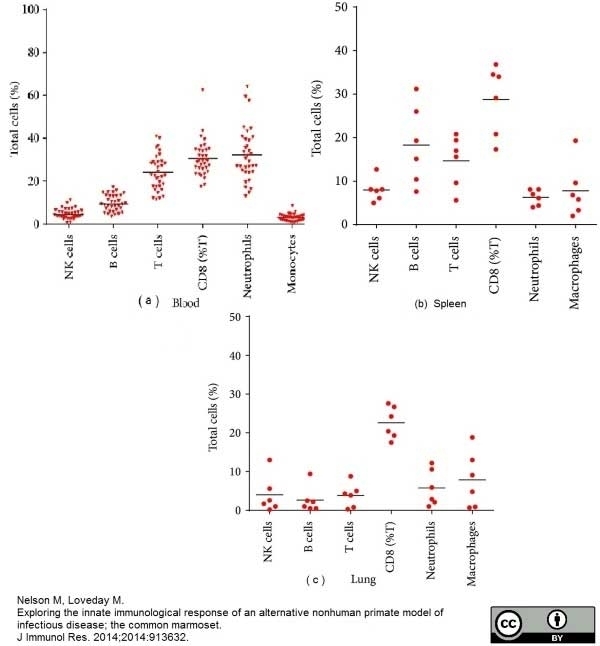 The percentage of the total leucocyte count for various cell types identified in naive marmosets (a) cells in naïve blood, (b) in naive spleens, and (c) in naive lungs. CD8 T cells are expressed as a percentage of CD3+ cells. Bar represents the median value. Journal of Immunology Research, vol. 2014, Article ID 913632, 8 pages, 2014. Alexafluor®700 conjugated Mouse anti Human CD8 antibody, clone LT8 used for the evaluation of CD8 expression on PBMC by flow cytometry. Gating stategy for cell surface marker analysis in uncultured and cultured PBMC. Gates were applied in the numerical order shown. CADM1/TSLC1 Identifies HTLV-1-Infected Cells and Determines Their Susceptibility to CTL-Mediated Lysis. Figure A. Alexa647® conjugated rat anti human CD3 (MCA1477A647) and RPE conjugated Mouse IgG1 isotype control (MCA928PE). Figure B. Alexa647® conjugated rat anti human CD3 (MCA1477A647) and RPE conjugated mouse anti human CD8 (MCA1226PE). 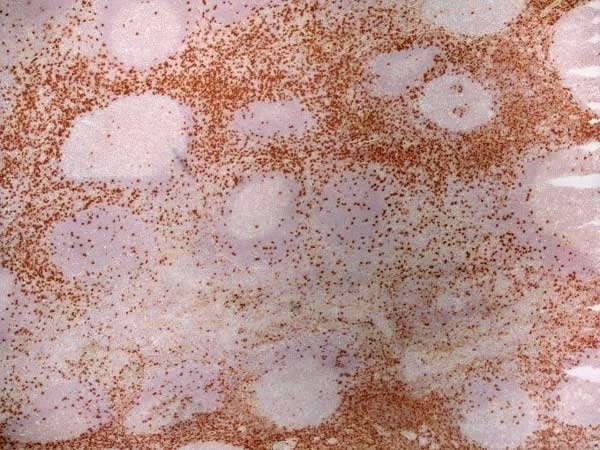 All experiments performed on red cell lysedand permeabilized Human peripheral blood gated on leukocytes in the presence of Human SeroBlock (BUF070A). Mouse anti Human CD8 antibody, clone LT8 recognizes the human CD8 cell surface glycoprotein expressed by a subset of peripheral blood T cells which express cytotoxic/suppressor activity. It is also expressed weakly on NK cells. The CD8 antigen is a co-receptor for MHC Class I in conjunction with the T cell receptor, and is important in the selection process of CD8+ MHC Class I restricted T cells. 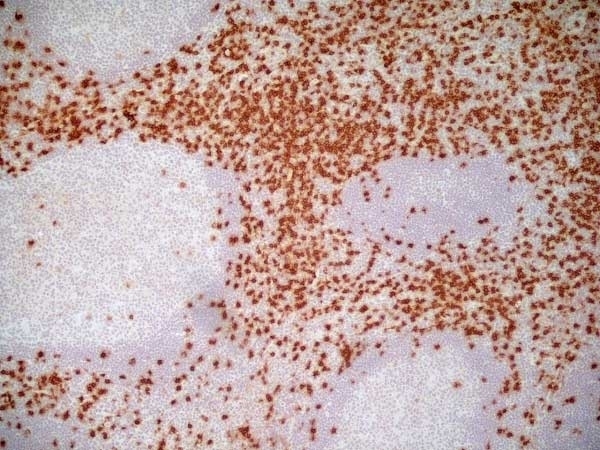 Spleen cells from immunised BALB/c mice were fused with cells of the mouse X63.653 myeloma cell line. Use 10ul of the suggested working dilution to label 106 cells or cells or 100ul human whole blood. Manninen, A. & Saksela, K. (2002) HIV-1 Nef interacts with inositol trisphosphate receptor to activate calcium signaling in T cells. J Exp Med. 195 (8): 1023-32. Parnes, J.R. (1989) Molecular biology and function of CD4 and CD8. Kap, Y.S. et al. 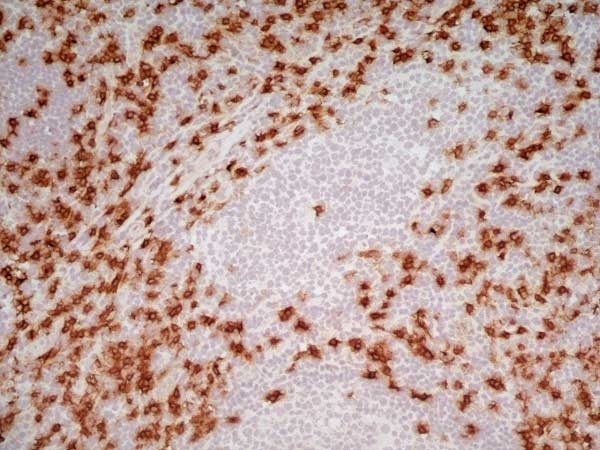 (2009) A monoclonal antibody selection for immunohistochemical examination of lymphoid tissues from non-human primates. J Histochem Cytochem. 57: 1159-67. Nelson, M. et al. (2010) Characterization of lethal inhalational infection with Francisella tularensis in the common marmoset (Callithrix jacchus). J Med Microbiol. 59: 1107-13. Gibbings, D.J. et al. 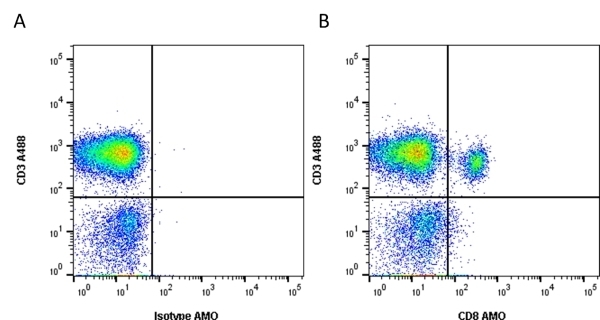 (2007) CD8 alpha is expressed by human monocytes and enhances Fc gamma R-dependent responses. Junker, A. et al. (2007) Multiple sclerosis: T-cell receptor expression in distinct brain regions. Held, K. et al. (2011) Expression of herpes simplex virus 1-encoded microRNAs in human trigeminal ganglia and their relation to local T-cell infiltrates. J Virol. 85 (19): 9680-5. Hood SP et al. (2014) Changes in immune cell populations in the periphery and liver of GBV-B-infected and convalescent tamarins (Saguinus labiatus). Nelson, M. & Loveday, M. (2014) Exploring the innate immunological response of an alternative nonhuman primate model of infectious disease; the common marmoset. J Immunol Res. 2014: 913632. Manivannan, K. et al. (2016) CADM1/TSLC1 Identifies HTLV-1-Infected Cells and Determines Their Susceptibility to CTL-Mediated Lysis. PLoS Pathog. 12 (4): e1005560. Gross, C.C. et al. (2016) Impaired NK-mediated regulation of T-cell activity in multiple sclerosis is reconstituted by IL-2 receptor modulation. Proc Natl Acad Sci U S A. 113 (21): E2973-82. Dunham, J. et al. (2016) Blockade of CD127 Exerts a Dichotomous Clinical Effect in Marmoset Experimental Autoimmune Encephalomyelitis. J Neuroimmune Pharmacol. 11 (1): 73-83. Philippens, I.H. et al. (2017) Acceleration of Amyloidosis by Inflammation in the Amyloid-Beta Marmoset Monkey Model of Alzheimer's Disease. J Alzheimers Dis. 55 (1): 101-113.